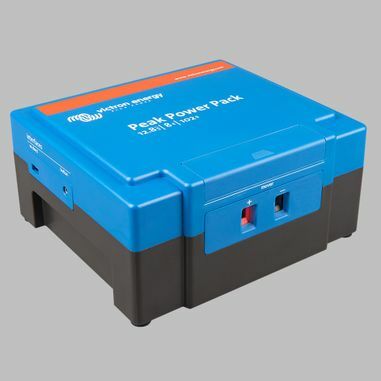 The Peak Power Pack is a complete substitute for heavy lead acid batteries in applications where high currents occur for short time. Being primarily meant for caravan movers, it is equipped with a built in charger allowing charging from the car electrical system during the travel with the caravan. This way the pack will be fully charged upon arrival to the camping site. If necessary, the charging is possible using the supplied adapter via a grid outlet. Charging from a solar panel is also possible. A battery charger or inverter/charger can be connected to the high power output for fast charging. Maximum charge current is 40A and maximum charge voltage is 14V. Reduces battery current drain to virtually zero. Prevents damage due to battery over discharge during long term storage.